We just picked up and thought we would share some insightful EcoCash stats in a report posted yesterday by the GSMA on their blog Mobile Money for the Unbanked. The GSMA got the stats from the head of EcoCash, Francis Matseketsa. We’ll just give a summary here of what we found interesting. You can read the whole article on this link (Update: article is no longer available on the original link). EcoCash now has over 1.5 million registered users. This alone is not much of a surprise and in fact we expected the figure to be around 1.6 million if the growth trend of about 200,000 per month has been consistent. Econet is still offering the free $1 airtime for EcoCash registrations so we don’t see reason for it slowing down as there are still millions (about 4.9m) of Econet mobile phone subscribers that are not on EcoCash yet. EcoCash has 270,000 active mobile money subscribers, about 18% of the total EcoCash registered users, and 4.2% of the total Econet mobile phone subcribers. According to the GSMA, this percentage out of Econet’s total GSM subscribers compares favourably to other leading mobile money services globally. The branding on public minibuses (maKombi) has contributed immensly to the growth of subscriptions. EcoCash believes that its primary economic driver will be cost savings on airtime distribution. The 5% discount on airtime purchased via EcoCash has proved proved very popular with customers. Transaction revenue alone has not yet pushed the service to breakeven and it’s expected that, as the volume of business increases with transaction usage, customer services fees will be lowered further. A report “Benchmarking with the best” is used to compare EcoCash to mobile money services by other mobile network operators globally like Safaricom (MPESA), MTN (MobileMoney), Tigo (Tigo Cash) and Airtel (Airtel Money). You can access that report on this link (Update: report is no longer available on the original link). There are also other interesting articles on mobile money in Africa (and globally) on the MMU blog so make sure you go other there and browse around. Now Econet is slowly booting the airtime street vendor out of the value chain at least to the benefit of the mobile user and Econet. If Econet was selling airtime to distributors at a discount of say 12% then now they discount it for 5% to people it means they are making 7%. You can do the numbers!! Very soon no one will go to OK or Bon Marche to buy airtime unless to buy Telecel, Africom or Netone. Thats why they bought TN Bank (sorry Nigel you could have been the one chowing) but my worry is the monopoly being created by Econet in Zimbabwe. Now with my USD in my TN Bank account I can buy my airtime and send money to my mum and Econet makes cash buy airtime they make cash etc etc. The growth of Ecocash is going to spread to retail, transport, utility payments etc they Econet will wipe out all the cash in the market. Econet empire will be too big to fail very soon and will exactly be larger than PTC the guys who did not want to be deregulated 17 years ago (I think it might be nearly larger than the government now). Will history not repeat itself one day. I hope jobs will be created through all this. How I so love capitalism once you have the cash you can rule! Let make cash guys! I am not from Econet but i have done some research over some months that i can help you with some info. are doing, Hence they love the big guys with resources. you are talking about, just like Paypal, and it is available to you. Both use emails to pay the other etc. but you cant compare it to paypal. 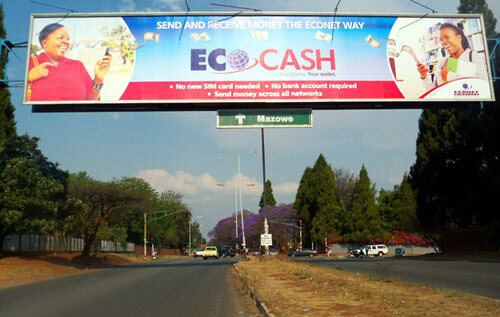 Ecocash. They wont let thye APIs loose and open for anyone. That is how risk is managed by these companies. Ever heard of the 419? It’s the code for Nigerian online scams. problem that can happen when those APIs start being abused by scammers. You can end up having fake websites being set-up to scam people of their monies. the time to spend on support services like complaints,chargebacks etc. operators will simply have a cellphone to accept Ecocash and not APIs. So in the end you can only get them on a case by case basis and based on merits. Anyway, we wait to see how TN will accept Ecocash payments on its website.